Pigmentary disorders are among the most common complaints of clients seeking skin care. Hyperpigmentation is an important condition that requires the expertise and understanding of an esthetician. It affects many Caucasians, African-Americans, Hispanics and Asians. The goal of an esthetic pigment treatment is to correct and further prevent hyperpigmentation. 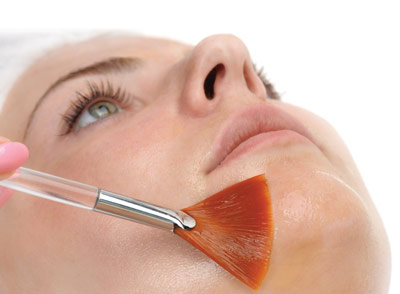 Pigmentation detective work can baffle even the most experienced clinical esthetician. Even after a thorough analysis, sometimes the most seemingly innocent factor can be responsible for pigmentation. Scented body lotions or fragrances sprayed on or applied in areas that come in contact with ultraviolet light may penetrate stubborn or suspicious pigmentary discolorations on the jaw, neck, décolleté, arm or leg. Men who wear aftershave can increase the pigmentation injury potential from fragrance and chemicals. Tyrosinase inhibitors are the most common depigmenting agents to treat many disorders of hyperpigmentation. The following are approved esthetic depigmentation ingredients used with a high degree of success when explained properly to the client. Hydroquinone. One ingredient that has always drawn controversy within the esthetic industry is hydroquinone (HQ). HQ is a phenolic compound and is the most widely used and successful compound for hyperpigmentation, especially darker skin types due to their longer, thicker dendrites of the melanocyte and its melanosome concentration. HQ is an inhibitor of tyrosinase (copper-containing enzyme) and other melanocyte metabolic processes. Hydroquinone is typically engineered in a lab but can be found naturally in wheat, berries, coffee and tea. It works by inhibiting DNA and RNA synthesis and suppressing the binding of copper and tyrosinase, which decreases the formation of melanosomes, increases the degradation of melanosomes and induces melanocyte-specific cytotoxicity. Fortunately, irritation to the skin using HQ is mild and uncommon. Recent research for alternative depigmentation agents such as natural products derived from plant sources and other botanical sources have not yet proven the same efficacy level as HQ via clinical trials and experience treating darker skin colors when used alone. Azelaic acid. This naturally occurring dicarboxylic acid has minimal effect on normal pigment and the greatest effect on heavily pigmented melanocytes. Azelaic acid inhibits tyrosinase and may inhibit DNA synthesis and mitochondrial activity in hyperactive and abnormal melanocytes. This compound is naturally sourced from cultures of Pityrosporum ovale, grain products, soy and castor beans by the oxygenation of oleic acid (found in milk). Azelaic acid has an antiproliferative and cytotoxic effect on melanocytes while sparing surrounding healthy cells. Azelaic acid may be the most thoroughly researched and studied compound next to HQ. Many clinical trials assessing the efficacy and safety of azelaic acid have been used successfully in the treatment of facial lentigo and maligna. Kojic acid. Derived from rice, soy and mushrooms, kojic acid may cause slight irritation in some skin types, although less frequently than HQ. Kojic acid inhibits melanogenesis by chelating the copper bound to tyrosinase, rendering it useless. It also decreases the number of melanosomes and dendrites, and is useful in treating hyperpigmentation due to its ability to inhibit nuclear factor-kappa B (NF-kB) activation in keratinocytes, mitigating an inflammatory response. Arbutin A potent antioxidant that is found naturally in cranberries, wheat, pears as well as blueberry and bearberry leaves, arbutin is considered to be less cytotoxic than HQ. Its established benefits inhibit the activity of tyrosinase and melanosome maturation, and convert hydroquinone in the skin, allowing for a controlled release and less irritation. Vitamin C. Derived from botanical sources such as citrus fruit and corn, L-ascorbic acid is an anti-inflammatory and antioxidant agent that stimulates collagen production and converts dopaquinone back to L-DOPA to prevent melanin formulation. Vitamin C interacts with copper ions to reduce the dopaquinone and one of the best forms is MAG-C.
Licorice. Licorice extract can be naturally derived or engineered. Its action is to inhibit: the tyrosinase activity of melanocytes without cytotoxicity, UVB hyperpigmentation and erythema. Glabridin is the main compound of licorice root extract and has been shown to have faster acting and greater skin lightening effects than HQ. Licorice also has strong anti-inflammatory properties. 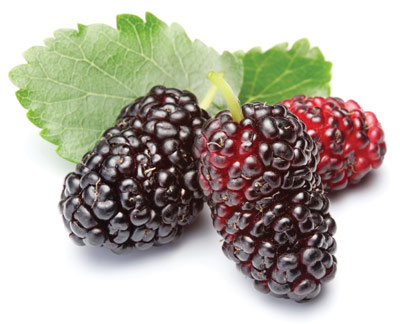 Mulberry. This potent antioxidant is an anti-inflammatory agent that inhibits the L-DOPA oxidase activity of tyrosinase. Studies of this ingredient show a 50% reduction in tyrosinase activity following continued daily application. Drone therapy. This technology involves a capsule with a polymer core and peptides targeting only the melanocyte. The peptides include: palmitoyl sh-octapeptide-24 amide and palmitoyl sh-tripeptide-5 norisoleucyl sh-nonapeptide-1. It is safe for pregnant women and all skin colors. Glycolic acid. Glycolic acid is an alpha hydroxy acid 2 carbon molecule derived from sugarcane. Both melanocytes and keratinocytes travel at the same rate in the epidermis, and glycolic acid is an excellent agent to immediately reduce the transient pigmentation while it exhausts injured melanocytes. Lactic acid. Derived from sour milk and sugars, lactic acid is a 3 carbon molecule that causes desquamation to reduce the transient pigmentation morbidity. Lactic increases the exfoliation of melanin-filled keratinocytes and suppresses the formation of tyrosinase, the copper containing enzyme. It also works as a natural moisturizer factor (NMF) on the skin. Retinol. Retinoids and retinol are naturally occurring compounds derived from vitamin A and are effective in treating darker skin. Retinol is less irritating than HQ and not as effective; therefore, a combination of both (or with other tyrosinase inhibitors) is recommended when treating melasma, lentigines, hyperpigmentation and acne PIH. Retinols stimulate glycoproteins of the cell, collagen, elastin and glycosaminoglycan production and inhibits tyrosinase activity, decreasing the amount of melanosomes produced. Retinols also inhibit the transfer of melanin from melanocytes to keratinocytes and enhance the penetration of other actives through the stratum corneum (SC). Chemical peeling continues to be one of the most popular and efficacious methods to treat hyperpigmentation for clinical remedies. Glycolic acid peels. Classified as a light chemical peel, glycolic acid peels are helpful to manage acne, hyperpigmentation and photo damage in darker skin types. This 2-carbon AHA improves the skin surface by compacting the SC by promoting epidermolysis, dispersing basal layer melanin and increasing collagen synthesis within the dermis. Lactic acid peels. Lactic acid is a 3- carbon molecule that has been studied to have a faster cellular metabolism affect with less irritation than glycolic acid. An NMF, this effective acid is antimicrobial that increases the exfoliation of melanin-filled keratinocytes and suppresses the formation of tyrosinase, making it an excellent tool in the treatment and management of pigmentation. Salicylic acid peels. Salicylic acid is a beta hydroxy (BHA) acid lipophilic agent that removes intercellular lipids that are covalently linked to the cornified envelope surrounding cornified epithelioid cells. Salicylic acid peels have low incidences of complications and are effective for the treatment of hyperpigmentation on the face, hands and arms. Jessner peels. Jessner chemical peeling is derived from a salicylic, lactic and resorcinol solution that produces an aggressive but predictable epithelial desquamation by disrupting the barrier repair function (BRF) of the SC and creates an exfoliation to remove pigmentation damage. Retinol peels. Retinol chemical peels have been largely documented to improve hyperpigmentation, wrinkle depth, sallow skin, acne and dyschromia of photoaging. Retinol is a vitamin A belonging to a family of retinoids that attach to retinoic acid receptors located on the cell membrane stimulating the binding of epidermal growth factor to skin cells and then to specific DNA sequences. Retinol is necessary to produce glycoproteins. Glycoproteins are linked to the amino acid chain and are the most exposed proteins on the outer surface of the cell membrane. Retinol peeling diffuses lipofuscin to control the causes of liver spots. 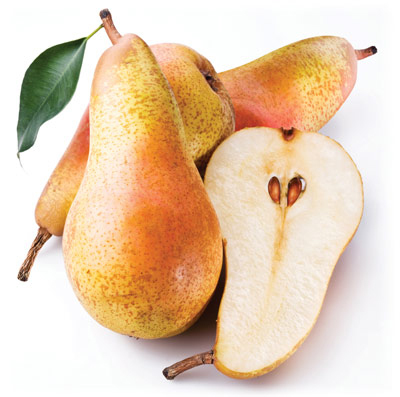 TCA peels. TCA peels are an excellent tool to control pigmentation in the skin. They have long been considered the gold standard by which the efficacy of all other peeling agents are evaluated and measured. Superficial peeling is accomplished with concentrations of 10-35%. Many states allow estheticians to utilize a 15% strength under the auspices of their licensing guidelines. Pigmentation will always remain a bigger challenge than wrinkles; however, educating yourself in treatment skills, tyrosinase inhibitors and the different types of skin and pigment disorders will provide success. 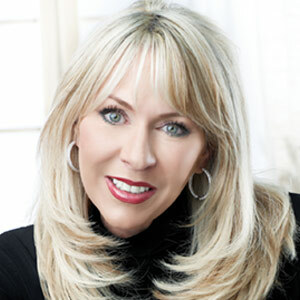 Christine Heathman, CME, LMT, is the owner and CEO of GlyMed Plus.She has been a practicing licensed master esthetician, educator, and a leader in the research and development of clinical skin care and progressive skin protocols for more than 25 years. She has been integral for legislation passed for the first master esthetician license in the U.S.